I often dream of going paperless in my classroom. If it is an objective of yours, Evernote is a great tool to help you get there. If you want some great tips on how to go paperless in your own life and in the classroom, check out Jamie Todd’s (Evernote Ambassador for paperless living) Evernote Blog Feed: Going Paperless. It has some great tips, how to’s, and more! It’s a great location to get some ideas for use in your paperless classroom! 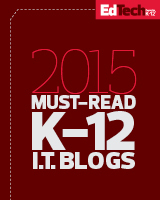 This entry was posted in Education, Educational Technology, Technology and tagged Ed Tech, Education, Educational Technology, Evernote, paperless on June 12, 2013 by Jennifer Carey.